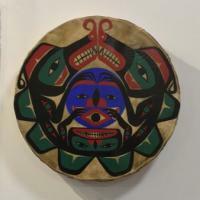 Painted on stretched deer hide. 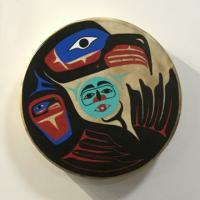 Painted on stretched Elk hide. A fantastic rattle by the renowned Stanley Clifford Hunt. 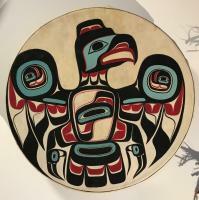 Painted on stretched elk skin.